Author of “Comfortably Unaware: Global Depletion and Food Choice Responsibility,” Dr. Oppenlander is a sustainability and wellness advocate, writer, and speaker committed to improving the health of our planet. Through literary work or in person, he brings an eclectic combination of experiences regarding this topic spanning the past 40 years. Since the early 1970’s, Dr. Oppenlander has extensively studied the effect our food choices have on our health and the immense impact those choices have on our environment. He is president and founder of an organic vegan food production and education business and has given hundred of lectures, presentations, and open discussions on the topic of food choice. Dr. Oppenlander has been a keynote speaker for the North American Vegetarian Society’s SummerFest as well as other events and has presented lectures and workshops at numerous universities and colleges. He has been a featured guest appearing on radio shows, in newspapers and magazines. With his book, “Comfortably Unaware” as well as with his speaking engagements, Dr. Oppenlander addresses the fact that our current choices of foods are causing Global Depletion- the loss of our land, water, air/atmosphere, food supply, biodiversity, energy resources, and our own health. In compelling fashion, he reveals serious inefficiencies and unsustainable practices in our current food production systems and explores unique solutions. Along the way, Dr. Oppenlander challenges audiences with new insights regarding how this has happened – exposing our cultural, social, educational, governmental, and even media influences. Caryn Hartglass: Hello, I’m Caryn Hartglass, and you’re listening to It’s All About Food! Thank you for joining me today. I’m really looking forward to our guest. We talk about a lot of things on this show and I think we’re going to hit just about all of them today. There is a new book out called Comfortably Unaware and it hits on so many of the things that we talk about on this show It’s All About Food. The author is Dr. Richard Oppenlander and Comfortably Unaware … global depletion and food responsibility – what you choose to eat is killing our planet. And Dr. Oppenlander is the author of Comfortably Unaware. 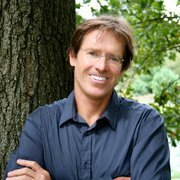 He is a sustainability and wellness advocate writer and speaker committed to improving the health of our planet through literary work or in person. He brings an eclectic combination of experiences regarding this topic expanding the past 40 years. Since the early 1970’s, Dr. Oppenlander has extensively studied the effect our food choices have on our health and the immense impact those choices have on our environment. He is president and founder of an organic vegan food production and education business and has given hundreds of lectures, presentations and open discussions on the topic of food choice. He has been a keynote speaker for the North American Vegetarian Society’s summer festivals as well as other events and has presented lectures and workshops to numerous universities and colleges. He has been a guest appearing on radio shows and magazines with his book Comfortably Unaware as well as his speaking engagements. Dr. Oppenlander addresses the fact that our current choices of foods are causing global depletion – the loss of our land, water, air, atmosphere, food supply, biodiversity, energy resources and our own health. Welcome to It’s All About Food, Dr. Oppenlander! Caryn Hartglass: Hi! I think we have a lot in common! Richard Oppenlander: We do, we definitely do. What a wonderful introduction, good morning to you! Caryn Hartglass: Thank you! Its’ always good to know that there are others out there pounding the same drum because you feel pretty lonely and you’ve been doing it for 40 years. Richard Oppenlander: Exactly, it is encouraging to meet people like you and I do want to take just a moment to commend you. This is a great opportunity for your amazing journey and all the efforts that you put forth on behalf of a healthy and peaceful planet. It’s very well done. And you’re right, it’s… many times you feel alone in the experience but it’s wonderful to see people like you out there doing this. Caryn Hartglass: Thank you, thank you very much. Fortunately or unfortunately, at this point in my life, I can’t seem to do anything else. Richard Oppenlander: I think that’s fortunate. Caryn Hartglass: Well, no, it’s not that I don’t have choices; it’s just that it’s so powerful. I’ve read your book and it’s so easy to get frustrated, angry, upset. It’s just incredible what’s going on and some things are so obvious, so clear, and the answers are so obvious and we know, those of us who’ve been living this life know that it’s not hard and when we make that shift, when we lift that veil, life is better! Richard Oppenlander: And a great part of my book was about that, whether it was in isolated situations or in summary towards the end, but it’s essentially trying to bring forth some realistic view for readers in terms of a better understanding not only why they need to know all this and why they need to work towards this path, but what hurdles there are for them and why they are there, I have one chapter called “Tread Lightly” about this issue, why we’re hearing so many different things about our food choices that are just not right. Those are the things that unfortunately everybody is hearing so you’re right, that’s what makes the road more difficult. Caryn Hartglass: I want to touch on some of the things in the book. Not everything, of course, because people should read it, but I want to go back a little bit. So you’ve been on this path in one way or another for 40 years. What was your beginning? Were you raised this way? Did you come onto some information? Richard Oppenlander: No, not at all. It’s a very good question. The way that I can describe it is – it began pretty much by myself when I was in a laboratory conducting research, a medical science study in medical school, when I was there in graduate school. So at that time it was primarily from a health and wellness standpoint because I saw what effect nutrients have on a cellular level and therefore you just got to extrapolate it out into what it would be to our bodies. And no, I wasn’t, to answer that a little better, I wasn’t born into a family that educated me this way. I was really a victim of our cultural influences just like everybody else too. That’s one of the things that I try to emphasize in my lectures or workshops, that if I can do this, certainly everybody can. So later on it became more of awareness as I researched through it more in terms of just like many other people and surely yourself, putting together environmental aspects beyond health and wellness and then there’s always the issue of the animals themselves. So I just kind of wanted to put all this together in terms of my writing and lectures. So I have been doing that over the last 30 to 35 years as well, until it sort of ended up in this book. Caryn Hartglass: We talk about 3 major subjects – health, environment, and the treatment of animals and they’re all very important, very compelling. Did you come to this for one more than the others in the beginning? Richard Oppenlander: As I said, at that first point in time, it was actually more from a health and wellness point for ourselves. But shortly thereafter I pretty much assigned to swim through it and I really started uncovering many other aspects within a year or two or three. Now I think I have to add something to that Caryn. I think that it isn’t just those three triad of issues. What I think is an issue as well, the fourth – however you want to categorize this, but it’s in the misinformation or about our education or how we’re hearing about this I think is equally important as those other three. Richard Oppenlander: Whether you want to call it, in my terms, I’m starting to call it sustainability, because it’s the word everybody is almost misusing these days, but it has to be, it’s almost a fourth component of that picture now. Caryn Hartglass: There are a lot of words that come to mind – short sighted, political, personal, monetary gain. They’re related to all of that because the reasons to choose the diet that we’re talking about a healthy whole plant based diet, there are no reasons not to do it. It’s not a diet of deprivation; it’s not a diet of dissatisfaction. It’s a diet that makes you feel good. The food is delicious! At least certainly now, compared to 10, 20, 30 years ago, it’s really come light years ahead with the cuisine. There’s no reason not to, and yet people find ways to color the truth and misinform for personal gain. Richard Oppenlander: Right, and hence the title. You are right. A hundred percent there’s no reason not to, unless you are unaware. And the other component is that if you are comfortably unaware, if you have all these other issues, whether it’s cultural, social, political, and economic, it just shows you how strong all these components really are. I think the largest set avails that I have ever seen is really when I’m visiting and interviewing. I have interviewed so many different grassroots operations and conventional dairy farms and now agriculture and food farms, and one of the most incredible witnessing that I’ve had personally – I’ve seen all these veils thrown over someone or curtains that are so thick you could hardly peel them off, around dairy farmers. They’re some of the nicest people in the world, on one hand, and on the other, you just can’t get through all these veils and that’s an amazing thing, isn’t it. To see all of these different influences affecting them at the same time where it’s almost improbable if not impossible for them to see exactly what they’re doing right in their own backyard. Caryn Hartglass: And how do you get through all those things, it’s really incredible. I personally came to this a long time ago as a teenager because it dawned on me that killing animals was involved in what was being served on my plate and that didn’t work for me. I just didn’t want to kill. And it wasn’t something that came from my brain. It was something that came from deep within. I couldn’t have debated it or explained it. It just said no, I can’t do this. And so when I think about the people that raise animals, even dairy animals, I don’t know how they can do the things that they do because in dairy farming today, death is involved. Richard Oppenlander: That is exactly my point. Your reasons, your principal reasons for your decisions with your journey somewhat transcends even logic. It’s more of a feeling that you have and these people, that’s exactly what I meant in a statement I made earlier, these farmers have so thick of a set of influences that they can’t see what they’re doing. That to me is the epitome of how strong our influences have been. There are so many other people that are unaware that are going to become aware and that’s why I wrote the book. But I think there are certain groups of people that are certainly going to take that much longer and so, I propose other solutions. One solution, that wouldn’t be easy, is just every one could listen to your show and what you’re doing, and read my book, and then the world would be a wonderful and happier place. But there is another set of solutions for other people that we were just talking about that have such a large set of armor, a thick set of armor in them, those individuals and that type of issue is going to have to be solved with things that I call eco and health taxes and there are other solutions that we just need to kind of move forward on for all those that would take longer than you or me. Caryn Hartglass: Right. I definitely want to talk about that concept because I like it. But I wanted just to finish up on this. So you’ve probably heard over and over and again and I laughed a few times in the book, I was thinking – uh huh, he may have heard that. I’ve heard people say you care so much about animals you don’t care about humans. This veil is very very thick, this armor is very very thick. There are just horrific things that we do to people. Certainly, we have wars and things. I‘m just hearing about the things that we do to some of our migrant farmers to get some of our plant foods and it’s just horrific. Richard Oppenlander: You’re right. We all know the statement by Gandhi about the integrity and the value of a country can be gauged by how they treat their animals. I think that’s really true. You’re right, it’s a very large topic and that’s why I always try to include the word ‘peaceful’ when we’re talking about generating awareness for a healthier planet. They both go hand in hand. If it’s a truly healthy individual or a community or a planet, it will be a peaceful one. Caryn Hartglass: Amen! The title is an interesting one. I’m kind of going back and forth with it because unfortunately I think some people are aware and I think they are uncomfortably aware, if I can reverse the negative here. There are a lot of people that know and just aren’t doing anything about it. Richard Oppenlander: I agree. There are two different ways to look at it, or more, to view what you just said. One of them is… and I agree with what you’re saying but I chose what I think would be the most optimistic title and so that’s why I went that route… and the second way to view it is, regardless of the title, when you’re talking about characterizing individuals on a global basis, I believe that they may be partially aware. I still believe that those people you just mentioned, I agree with the inherent aspect of what you just said on its surface value but I really believe that there’s something – whether it’s the animals, whether its health for themselves, whether it’s health for world hunger – it’s something they’ll have to recognize. They have a sliver there in their arm or their hand and they’re going to have to remove that sliver and I believe that once they become aware that the sliver is there and what it’s affecting, then I truly believe that they will be fully aware and then make the change. That’s what I believe. Caryn Hartglass: I think for the most part people are unaware especially outside of this country and it blows me away. But unfortunately as China and India become the big powers of the world, we see what’s happening to their food choices and it is just horrific. China has been the place of dark leafy green vegetables and I love going into Chinatown in my neighborhood because there are so many dark leafy green vegetables that I’ve never seen anywhere else. But the dairy business is growing there and they are eating more meat and surprise surprise, their diabetes rates are increasing at alarming levels. And they are unaware. And they want to be just like us. Richard Oppenlander: Well, isn’t that a large topic and isn’t it scary – everything you said is exactly right. To expound a little bit on that – Japan and china are surely becoming the largest importers now of our pork, our pigs. So it’s fueling much of our hay and cow and pork production here in the United States. At the same time, you’re right, while they have this incredible innate and cultural awareness, and feeling for all the green leafy vegetables and tofu and many of the other wonderful food products, at that very same time, they are one of the largest culprits in the world of devastation through raising and eating of animals. That’s true. As well as biodiversity. They are not only losing land for the raising of these animals but also as you know, just with exotic animals, they are the largest importers of rhinoceros horns and tusks as well as the seven endangered sea turtle species of shells. So it’s very sad what’s going on there but you’re right. As they grow, hopefully, they would grow with their awareness levels. There is one other aspect of that it will be very large in the future; we may have to devote an hour or two on this subject – which is agriculture. China is leading the world right now. Actually Asia contributes over 93% of all the fish grown in factory farms to the worlds and around 63-64% is coming from China and that’s only expected to grow financially over the next 10 years. And that’s also an incredible waste and depletion of resources but its creating so much pollution as well. Caryn Hartglass: I have to believe at some point, we know it’s not sustainable and if we don’t get it beforehand, the thing is just going to run out or just going to be…the pollution is going to be so bad, there are going to be no fish left in the sea to feed the small fish and the plankton that we take out of the sea to feed the fish and the aquaculture farms –there’s just going to be nothing left and we’re going to be so sick! Richard Oppenlander: You’re right. I can divide that very profound statement that you made into a couple of sub-categories. And one is that – let’s look at it in a general sense first – we are the true stewards of this planet. Instead of just using that word haphazardly, we really need to understand what that means. We’ve inherited this and we’re passing it on to future generations and right, there will be many many examples of individuals or organizations looking back on what we did to the planet and feeling how on earth could we have been so blind and so oblivious. Secondly, dividing into a subcategory what you just said is really about our oceans and that’s a very very large topic. I’m writing right now and lecturing about that whole issue because that is considered the future of our food. Seafood has been called the health food of our century. The FDA has urged us to eat twice as much fish and so it is a problem. It’s not just with our oceans. It’s also with our aquaculture as a whole that is starting to change its appearance. Yes, we’re taking our fish out of our oceans to feed those fish and one large aspect of this whole thing is getting back to the awareness level. We’re relying on individuals and organizations for guidance and yet those individuals and organizations are influenced by economics and by ulterior motives. So whether it is Ted Danson or Oceana or Monterey Bay Aquarium Seafood Watch or MSE, they are providing us with information that is not accurate. So I’m actually spending more time in my lectures now trying to point that out because that’s a huge topic that’s not being told by anyone else right now. As you know, we live, as the statement says, we live because our oceans live. Caryn Hartglass: Have you talked to any of the people from those organizations? Richard Oppenlander: Yeah. They are comfortably unaware. I don’t know how else to say it. I literally now have to modify, increasing most of my lectures and workshops percentage wise just about this topic because it’s so distorted, so convoluted now, with what we’re hearing and how we’re being influenced versus what’s really there. And I can go on and on and on with examples. I can give you so many examples of various fish species, only one large one. Just one very small example of all of these but one very large problem is with lobster. It’s considered sustainable. It’s called a good alternative by all these organizations I just mentioned. And yet, you look carefully at both Canada and US water in the gulf of Maine which is the largest supplier of the US lobster, we have decreasing numbers of lobsters. We have inefficient trapping mechanisms and it has very sad effect on the north Atlantic grey whale which as you know, there is only 325 of these magnificent creatures that we haven’t slaughtered and over 75% of those are becoming entangled and injured in all those trap lines and nobody talks about that. We just put ‘a good alternative’ listed on it. And that’s the type of guidance that just really saddens me and I just feel compelled to just keep writing and talking. Now it’s all over. Caryn Hartglass: I can certainly say De Nile is not just a river in Egypt. I think humanity has this skill and it’s a skill that’s actually now become a liability where we’re able to numb ourselves and tune things out in order to survive and maybe it helped us thousands of years ago but now it’s killing us. This way to not see what we need to see just so we can go on – so many smart people do it. Richard Oppenlander: A couple of things… You’re right, not only is it numbing to allow certain individuals and organizations to move forward with their decision making but also there are these ulterior motives that we’re talking about. There is a great deal of money. There is a 110 million dollars a year associated with our fishing industry, whether it is wild caught or aquaculture and there are very very powerful influences that are at force here. The other issue is that, right, this really is a frustrating point for all of us that at a point in time when we can just create so many wonderfully masterful ways, genius ways to manage science and computers and technology; at that same time, we are unable as a society and as individuals who are creating all these things to see what we’re doing to those rudimentary fundamental aspects of our life and our planet. Caryn Hartglass: I’m going to take a deep breath now…. that was heavy! Okay! Caryn Hartglass: No no no, it’s fine. It has to be. And this is the truth. You’re just speaking the truth, that’s all. And we have one more truth to talk about. I want to touch on a number of things, “treading lightly”, some of the people you mentioned in your book and a little bit about science but we’re going to take a very quick little break and we’re going to be back in a moment. Caryn Hartglass: Hi, I’m Caryn Hartglass, and you’re listening to It’s All About Food. Thank you for joining me and I am speaking to Dr. Richard Oppenlander who is the author of a new book called Comfortably Unaware – Global Depletion and Food Responsibility –What you choose to eat is killing our planet. I just wanted to touch on the lobster subject, and then it brings in something that you talked about in the book. There’s a number of different people that you mentioned in the book that are really getting the word out about the sustainability issue and how animal agriculture is really causing a lot of environmental devastation. And one of those people is Mark Bittman. He is a New York Times food writer and I find his writing very curious. Richard Oppenlander: I think curious is a proper but it is a kind word for that. I really do. Caryn Hartglass: He had an article recently, I don’t know if you saw it. But it was about lobster… and so here it is. Some days he gives these really profound discussions about what is going on with animal agriculture and how we need to eat more plant foods and less meat and he’s right on. And he does it in a great way and he gives some great recipes and then he comes along and he talks about lobster. And he said – ‘Okay for all of you who…’ I don’t know how he put it but he was talking about – ‘Yeah we have to put it in the boiling water, and for all of the people that are cringing now, the animal rights activists, you know you can stop reading here. I know a great story about cooking lobsters, you can read it here.’ And he kind of, there was something like a sickness there almost. He was acknowledging the terrible pain and how some people couldn’t deal with it but it’s too delicious so he’s going to just move on with it. And oh! Richard Oppenlander: Yeah you better take another deep breath! Caryn Hartglass: But he’s really interesting because he has come up with these concepts – Vegan before 6 pm. He talks about the importance and he’s right on so often about factory farms and about pesticides and then he comes up with these pork recipes. Richard Oppenlander: Well, let’s talk about that. That’s this fourth issue that I’ve mentioned earlier. And I’ve added that to the triad now. It’s how our information is being disseminated and who is doing it, and right, I think a chapter in the book that I could have certainly moved out into a whole book by itself because the examples are replete with so many people that are doing this. Now let’s just talk about what you just said first. I want to point out how you qualify that by saying that he’s talking about sustainability and he’s talking about… you used the term ‘factory-farming’. That’s where all of this breaks down. Because the message that we’re hearing, and I say this in so many different ways, but essentially, let’s do it this way… We have seen tremendous progress with all the public awareness with all the ill effects of factory farming and that’s a good start. This is what Mark Bittman’s talking about as well as Michael Pollan and Jamie Oliver and others, but – I want to make sure that there’s no mistake for anyone in the world to know that for every bit of progress, there seems to be an equally strong message that they’re bringing along with it that tells everyone – it’s still fine though. They could continue raising, slaughtering, and eating all these billions of animals and fish, only now see instead of factory farms, Mark Bittman and Jamie Oliver and Michael Pollan are advocating that we can accomplish it by using pastures, small family farms and our oceans and every other critter that lives in it. And we can use this word sustainable to hide behind and actually misuse. So that’s the message that we’re actually hearing. That’s what millions and millions and millions of people are hearing. What they don’t hear is what I’m talking about in a book… what you are talking about, which is that we’re still hurting our animals, our planet and ourselves. So in this Tread Lightly chapter, it’s stressing that point that we as a society have given to various sources, various media sources, these people platforms to guide us, essentially to influence us. Mark Bittman really is probably a very nice person but you’re right. He has portions of his message refined but he has this tagging along, this baggage tagging along with it and it’s because maybe he doesn’t know about the nociceptors in fish and in lobster and in terms of the receptors and the sensitivity that they feel. He doesn’t know that. He hasn’t become aware himself. Caryn Hartglass: Well he said in the article. He knows the lobster feels pain in the boiling water! Richard Oppenlander: Well whatever it is, he’s giving us the wrong message and there’s something that’s lacking in his understanding. And the other thing that’s grossly lacking, well beyond all that is that I have no problem with anybody standing up and saying whatever they feel about anything but if it’s affecting and influencing millions and millions of other individuals or planet or resources or animals that need a voice for themselves, they can’t speak for themselves, then I don’t think that platform should exist for them. And then that’s a serious issue that I have. So rather than saying negative things about people like that which I try not to do, it is frustrating that you mentioned all these different feelings at the beginning, you know frustration and sometimes anger and that you try to suppress and disappointment. Well, instead of that, I’m making as large an attempt as I can to encourage education and awareness. So he can say whatever he likes but for all the millions of people that he’s affecting, there should be all those same millions and millions of people who should hear this message that I’m saying. That’s the only problem that I have right now. It’s that we need to get this message out for every person that’s hearing the wrong message, there needs to be this stronger and louder voice telling them the truth. Caryn Hartglass: When you figure out how to do that! Because that’s been a problem in society I think since day one. Caryn Hartglass: You know I want to think that the truth ultimately comes and finds its way. Richard Oppenlander: That’s exactly right, it will. That’s what I will say propels me every morning when I wake up and when I get out of bed and when I sprint to go get things accomplished. That’s what drives me because I have faith and I know that it will happen. Another way to look at this is it’s just in the direction we’re talking about. Look at Michael Pollan’s journey without looking at it too carefully. He, in 2001 and 2002 and 2003, when he first started talking about High Fructose Corn Syrup, and subsidies and commercialization of food, do you really think he was the first one to say any of that? Caryn Hartglass: Of course not! I knew about it for 20 years already! Richard Oppenlander: Of course! How many times have we heard this?! Look at the effect that he’s had. I mean, we’re going to say, he has a movement that advocates putting him under Obama’s wing for being a Department of Agriculture head and this is because he has affected people in a certain way with the way he writes and maybe a message that he’s got across and by the media putting him in the position that he’s got. And is he telling the right message? No, he’s far more exaggerated than Mark Bittman in terms of making everybody believe that the entire problem that we have in our society is HFCS and it’s not. It’s a problem but it’s no more a problem than you know with any other percentages, with any other western diets and certainly what it’s doing to our environment, our animals, it’s nothing. It’s a pittance of what you and I are talking about of what affect eating animals has on us. And yet, look at what he’s done – he’s created an awareness for that, which is wonderful, on one hand, and yet, he’s done what I just mentioned, he’s allowed this tagging along of this acceptance that it’s perfectly okay to continue doing what we’re doing with animals. So on one hand, it’s not so good, on the other hand, I’m using him as an example to say somewhere along the way, we’re going to have the right message, and the right timing, and the right media exposure to do just what he’s done with that because he hasn’t said anything new. He just said it in a different way. Caryn Hartglass: Here’s a point that I think is one of the most important things that we really need to be clamoring about. You do it in your book and I’ve done it at home and it was one of the things I was chuckling on when I was reading. And that is – people like Michael Pollan talk about sustainable farming and raising animals ‘humanely’ and that’s what we need to do and if you do the math, we cannot raise the number of animals we’re raising today ‘sustainably’ grass-fed, free range… we can’t do it. There’s not enough land mass. I did a very simple calculation. Yours was a little more expensive, but we have to reduce… certainly, eliminate, but we cannot continue doing what we’re doing. Richard Oppenlander: Now, there are a couple of different components to what you said. Let’s just break them down a little bit. You’re exactly right, first of all, but let’s break it out a little bit. One is that… let’s do it this way. I have visited and interviewed numerous grass-fed and pastured livestock operations, both here in the US as well as abroad in the UK. I just got back from a trip in the UK where I interviewed somebody who is written about in a book as being a food superhero having a grass fed operation now. Out of all of these people that I interviewed, none of them, not one of them thinks or believes that… let’s do it this way, all of them feel that factory farming is a necessity from a land use standpoint because they know the numbers. None of these places can raise more than one grass fed cow on anything less than 1-5 to 10-20 acres. Richard Oppenlander: So all of them know that other than Joel Salatin and Polyface Farms and Michael Pollan because all of these places would firmly believe that factory farming is a necessity. Another thing that you had mentioned that Michael Pollan as an individual is a proponent of this. Well, first of all, he eats grass fed beef. Richard Oppenlander: He has been quoted as saying… I’ve got it quoted in one of the slides in one of my lectures as saying ‘I eat grass fed beef. It’s fully sustainable.’ And he said that on Oprah. But it’s not, so the point is, and we go back to that, is that he doesn’t know. He hasn’t done the numbers. He hasn’t gone out and spoken with these people. He hasn’t had to raise one grass fed cow and I think I put that in my book too. If somebody had to go and raise a grass fed cow, they’d probably understand what we’re talking about. The other component of what you said that was very important that shouldn’t be either misunderstood or it shouldn’t be shoved under the table or under the rug, which is the humanity aspect of this should apply to all animals equally. I’m talking about fish as well and that’s a huge topic because fish certainly feel pain and nobody gives them any credit for the trillion or so – it’s one to two trillion fish that are slaughtered each year by suffocation and by other means we don’t have to talk about right now. So anyway, if anybody really followed… that’s another thing – I want to call it a privilege, the privilege of understanding and seeing, not only witnessing but talking and seeing how a grass fed animal regardless of what it is – a pig, cow, turkey, chicken – how it’s actually slaughtered. Sure, it has a more humane life during its course of living on this farm but it has an equally devastating, if not more devastating, end to its life. And I have quoted a number of these. I’m writing right now a second book, and I have quoted a number of these grass fed operators in terms of what happens in their eyes and what I see and what they see and its horrific. And so it’s not humane at all and people need to understand it from that standpoint as well. I think somewhere along the way I stated that if you had a child or an adult go out and actually slaughter one of those by themselves, not everyone would feel the same way. There would still be some, as you said, they need to be comfortably aware but I believe that a tremendous amount of people who are consuming animals wouldn’t do so. Richard Oppenlander: That’s terrific! It really is. Caryn Hartglass: And I’ve seen in my time in the technical world the compromises that are made for stock holders and bottom lines. And I always want to believe that science is pure, science is truth, and science is objective. And we know it isn’t. In fact, there are some really interesting studies coming out about how some of the most objective studies are planned and still have an element of subjectivity in them whether the people are aware of them or not. Caryn Hartglass: But all of that, there have been a handful of people who have been in the science world. Dr. Colin Campbell is one of them who come to mind and he’s got a great story to tell and finally in his 70s, he’s got the notoriety that he’s deserved all his life. Richard Oppenlander: Isn’t that fabulous! Caryn Hartglass: Look how long it takes! But he discovered so many things about animal agriculture and realized he couldn’t do it. He was supposed to be doing it and he had to take a different path. How come we don’t see more scientists doing that? Richard Oppenlander: Well, you’ve hit on another broad subject, and you’re doing very well with that today. Richard Oppenlander: I do want to say one quick thing about Dr. Campbell. He mentioned… I had the privilege of being a keynote speaker just ahead of him on the opening night of the North American Vegetarian Society conference this year and one of the things that he said which everybody thought was amusing but it’s just what you stated there. He said he’s going to be at it for another 50 years or something. Caryn Hartglass: Right! Couldn’t kind of live that long! Richard Oppenlander: He said I’m just getting started with this now. But you’re exactly right. I think this really is a perfect example though of how information is suppressed and mismanaged and many times the end result is what either gets clouded or a different perspective gets placed on it or the end result is something that has been paid for or subsidized by those who want to see a certain end or conclusion. You know that and you alluded to that in that comment you just made. So I think there is something along the way that the reality of all this is going to strike because it’s coming in so many different directions now with I know he first started by in the 50s and 60s. back then, to stand up in front of your colleagues or peers and make some statements that fly at the face of all of them, against what the inherent backbone of not only scientifically but in terms of their own culture. It just wasn’t going to be accepted. But all that is going to change as well. I think it’s moving in the right direction. I really do. Even the food plate. The 2010 food plate, I don’t necessarily agree. That certainly could be written better but we have to look at the progress. Caryn Hartglass: There are some really interesting things about the food plate. I don’t know if you’ve noticed and I don’t know what it means but it looks exactly like PCRNs plate that they put out a year before. Richard Oppenlander: It is. That’s exactly right. Caryn Hartglass: So who is in the USDA who has an ulterior motive and did whatever they could. Or maybe they just had to do imagination and were just grabbing plate images wherever they could. Who knows? Richard Oppenlander: Well, probably a combination of both. And you’re right. Now, there are a couple of aspects to what we are talking about. One of them is that these things have been suppressed and mismanaged and that’s a large part of this fourth component that I’m telling you about. How we have to make sure that we have the correct awareness levels raised and education placed in front of us and not be suppressed. But I do think that our own community, the ones of us that are aware, we are walking a kind of a fine line when we’re talking about Go Meatless on Mondays and we’re talking about taking baby steps. I don’t know about you but I always not only get too much aware but much of this is in my book. A great deal of it is how I end my lectures now, which is actually looking at those two aspects and the only thing I can say right now at this point in time without beleaguering that is that if we go meatless on Mondays which everybody is accepting even in our community, it is a wonderful campaign in many ways, but if you do this, then you’re accepting that we’re all babies. We all need to take baby steps which we’re not. And if you go meatless on Mondays, what everybody is actually doing is, you’re contributing to global warming, pollution, global depletion of our planets resources, and your own health in only 6 days of the week instead of 7 and you’re creating a sort of false justification to your actions. Caryn Hartglass: Absolutely. I have some thoughts on that and if I was emperor, I know what I would do. Richard Oppenlander: Well this goes back to our eco tax, some of the things that I mentioned. Sure. We’re doing this, we’re complying. We’re attempting to do this in a compliant manner on an individualized basis but we, meaning you and I know, and others that think like we do, that there are going to have to be stronger measures and that’s why I bring out some political information. Richard Oppenlander: You’ve got a great voice for that, by the way! Caryn Hartglass: …you get this deer in headlights expression and all of a sudden they reach their capacity and they’re overwhelmed. They cannot take in all of this information. And so they can’t react. And they need to hear it over and over. So in some ways that’s where a meatless Monday or a 28-day challenge or whatever is helpful because it helps move people in a direction in a way that they have the capacity to do. Richard Oppenlander: Yeah, and I want to clarify that because what you’re saying is correct. I didn’t mean to say that every single person in the world would move forward correctly by not taking baby steps by doing exactly what I’m advocating. What I do want to clarify though is that we don’t have time for baby steps. I want to make sure that’s really clear. By the time that, you can do all the math that you want and it would be what I would encourage, if you extrapolate our scenario, of what we’re doing now on a scientific basis, you brought that term in a while back. If you want to sit and look at the global network, whether it’s our footprint and water or land usage or anything else. We don’t have time to be taking baby steps or doing meatless on Mondays. That’s the point I’m trying to make. Sure, I agree that many people fall into different categories. There are probably 2 or 3 or 4 different categories that we could discuss but one of them is no matter what you do, it’s just going to take a longer time to get around to doing it. Caryn Hartglass: This is the second part of what I wanted to talk about and the way to speed it up that we’re not doing enough is people need to get this information repeatedly on a daily basis. It needs to be headlined in newspapers. It needs to be in the pages of magazines. It needs to be on the television and the movies. A long time ago, JFK had this thing that we’re going to go to the moon and everybody was focused on it and during WWII, a lot of people in the States that were doing what they felt their part was to support this whole thing and we need to come together as a large community and say yes, we’re all together in this. We need to be bombarded with this information and we’re not. And the way to make the messes go. Richard Oppenlander: I think there are still two levels to what you’re advocating there. One is, you’re saying that a repetitive frequent reinforcement of knowledge and awareness by the media and all those sources that we experience each day. That’s one level. But you and I know that there are still a number of people that are going to take longer than what our earth has the ability to absorb or sustain. So therefore, there has to be, somewhere along the way, some form of legislation. Caryn Hartglass: Like the eco-tax. Richard Oppenlander: I’ll just mention, we don’t have to do it now, but I’ll just mention one of these large aspects which is water usage which is our largest resource concerned in the next 19 years. You know all the facts. So one of the things I impress on audiences is that I end up placing a figure of how much water the EPA feels we’re using as a an average house in the United States is 50,000 gallons per year and 60,000 outdoor use. And yet, from our choice of foods, if it involves animals, we’re using 315,000 gallons per person per year. So that’s times 3 for a household of 3. So if you look at a million gallons of water per household of 3 versus only 50,000, which is what our government believes we’re using. So my thought is just this – whenever there is a water shortage, which there is, in the US, and it’s a regional issue, because there is flooding here and droughts there but as water becomes more scarce, our government should be stepping up in declaring a state of rationing meat and dairy. Period. And this is what I mean. As well as the eco and health risk tax which will get us on track much quicker than anything else that we’re doing. Caryn Hartglass: I want to see it happen. I really do. Richard Oppenlander: I believe that it will. I just don’t know when. The eco and health risk tax, we have far too long externalized, as you know, all of the costs that are incurred by eating animals. Caryn Hartglass: The government has such a great opportunity right now. The economy is a mess and we have a great opportunity to rewrite all the subsidies and rewrite all the taxes and right all the wrongs. But I don’t think it’s going to happen just yet. Richard Oppenlander: Well, it affects all those areas and it affects the other areas too that we’re dealing with which is our healthcare issues, our healthcare insurance plans, our entire national healthcare problem. It really would solve a number of issues. So I believe it is going to happen and we can talk. We’ll pick a number and we’ll both guess what’s going to happen in some time. We’ll compare notes, okay? Caryn Hartglass: And I wanted to talk about what people can do. Certainly they can stop eating animal foods. And you mentioned growing gardens, growing food and I know that there is a momentum with small farms coming back even though some small farms continue to go out of business because it is so hard to compete with giant agri business. But we do need to be growing our own food and kale, I love kale and I’m glad you mentioned it! It’s a super super food. I did have a question though. Have you ever grown quinoa? Because I heard some very disturbing information about it that I guess it grows very nicely in Bolivia and the people there who were eating it normally, now they don’t eat it that much because it’s become so popular over here and now they’re going more towards eating some of the easier packaged convenient foods. Caryn Hartglass: And quinoa is relatively difficult to grow. Richard Oppenlander: No, actually I don’t know where you heard that from that it may be more difficult to grow. What I’ve looked at, it can be grown. In fact, I was advocating growing more of it in southwest United States. And it can be grown sustainably. In fact, that and a number of other teas can be grown more sustainably than what we’re currently growing in our current crops, our cash crops. So I am saddened to hear that that’s what is happening there but it can be grown as I said much easier and much more sustainably than some of the other crops. Caryn Hartglass: Well, I believe that it can and it should be and it’s just so frustrating that here we have companies like Monsanto dumping so many dollars into genetically modified foods that are wrong for so many reasons and yet, couldn’t we just start investigating on how we can make quinoa more easy to grow. Caryn Hartglass: We have less than a minute now. Richard Oppenlander: … so we have to work with education, with our school systems and corporations and communities. That’s what I think most of this is coming from. Richard Oppenlander: As well as what I said maybe legislations through some of these taxes that I’m talking about. Caryn Hartglass: I really enjoyed talking with you this past hour. It’s so nice to listen and talk with a kindred spirit and I’m sure we could talk for many many more hours. Caryn Hartglass: I wanted to thank you for this time and Dr. Richard Oppenlander and I will just mention again Comfortably Aware. Do you have a website? Richard Oppenlander: We do. It’s comfortablyunaware.com. Caryn Hartglass: Oh, I’m sorry, I mis-said that. Comfortably Unaware. Richard Oppenlander: No worries. And I want to thank you so very much for you and your program. This opportunity, it’s been a real pleasure. Caryn Hartglass: Okay and meet you soon! Richard Oppenlander: Likewise! Thank you. Bye bye. Caryn Hartglass: I’m Caryn Hartglass. You’ve been listening to It’s All About Food. Please go to my website responsibleeatingandliving.com. You can get lots of recipes and inspiration to move to a healthier place for yourself, for your family, for the world. Thanks for listening! And have a delicious week!